Asylum Entertainment, NBC and Doron Ofir Casting is on a nationwide search for divorced couples that want the opportunity to work one-on-one with a Family Reunification expert to learn how to peacefully co-parent your children. Asylum Entertainment is a television production company based in Encino, California, United States. It is known for producing sports programming and reality and scripted television series such as Beyond the Glory and The Kennedys. Doron Ofir is a casting director and president of Doron Ofir Casting, a division of Popular Productions, Inc., who has worked on reality television programs including MTV‘s Jersey Shore and A Shot at Love with Tila Tequila, HGTV‘s Design Star, NBC‘s Nashville Star and Fox‘s More to Love. Doron has been credited as Casting Director, Executive Producer, or Executive Head of Casting on over 100 television productions. This incredible opportunity will teach you how to truly co-parent your children and create a new normal for your family where fighting will be a thing of the past. What you will learn will give your children the opportunity to have the relationship they want with each parent individually and you and your ex will begin to communicate effectively, letting go of your differences and enjoy a greater family dynamic. If you are recently divorced and share custody of your children, this is a great opportunity to achieve a lifetime of success in co-parenting and create a positive foundation for the person that matters most—your child. 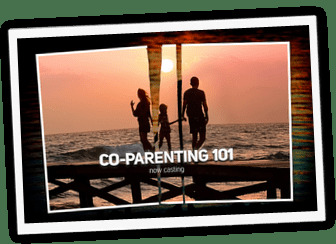 Co-Parenting 101 is a platform for Parents to learn how to work together to build a Healthy Relationship for the best interest of their Child or Children. A prolific storyteller, Diedra Wayans discovers fascinating characters, explores their worlds, and creates TV shows that will entertain and relate to diverse audiences all over the the world. ALL SHOWS ON THIS PAGE ARE CREATED, DEVELOPED, PRODUCED AND FILED WITH THE WGA BY DIEDRA WAYANS OF WAYANS GIRL PRODUCTION. IF YOU ARE INTERESTED IN ANY CONTENT, CONTACT INFORMATION IS PROVIDED BELOW. DIEDRA WAYANS is also available for speaking engagements, consulting, seminars and eager to explore exciting humanitarian experiences. Why Social Awareness is important and plays a key role by equipping our communities with the knowledge of the mishaps and social injustices in the country (USA) and around the world. Please Share. Another parent takes her own life after having children stolen by Social Services. THIS BEAUTIFUL PERSON Lacie Dryer committed suicide this morning in her home. Heartbroken from her children being taken away by CPS. She was one awesome mom sister friend and loved everyone. How could someone so strong… I can’t believe this happened. Suicide is never the answer ppl. I miss her already. Please keep her family in your prayers. It is the request by Eric Hughes of National Liberty Alliance Courtroom Observers to send this out to all of your contacts! 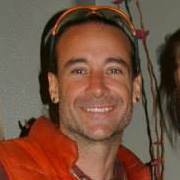 Stephen L Dean, a Native American Tribal medicine man, Utah State Coordinator for the National Liberty Alliance, and a candidate for common Law Sheriff in Utah, has been arrested on a trumped up gun charge and is being held at the Salt Lake County jail without bail. the state police lieutenant and colonel Daniel Fuhr (801) 965-4518, top FBI Special agent in charge Salt Lake City Mary Francis Rook 801-579-1400; Utah county sheriff Jim Tracy 801-851-4001, Judge V. Denson 801-524-6160, and Colin Bircumshaw the Vicar General for Utah 801-328-8641. Ask these 4 questions: Why would you violate 18 USC 922 by placing a firearm in the hands of a convicted felon? Why would you execute a warrant with no signature from a judge? The clerk does not qualify… Why did you take Stephen Dean 60 miles to another county for detainment? What is your relationship with Colin Bircumshaw the Vicar General for Utah? It is the request by Eric Hughes of National Liberty AllianceCourtroom Observers to send this out to all of your contacts!